BRYAN EATON/Staff Photo. 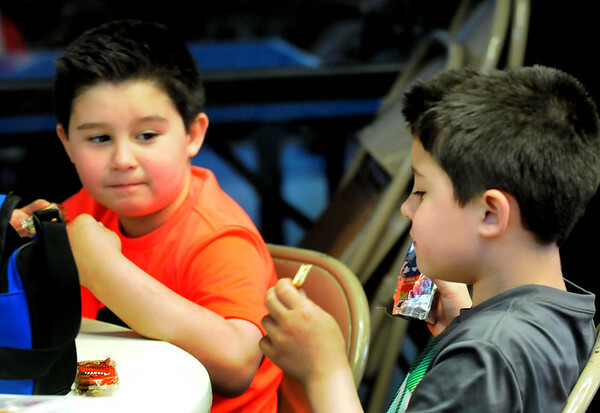 Twins Aydan Ameida, 8, left, and Adryan take a snack break from games in the gymnasium at the Seabrook Rec Center. The center is open days this week as New Hampshire schools are on break.